Some people have the idea that there is little need to tamper with something that works perfectly. As it turns out, these are the people whose appliances experience the most malfunctions and breakdowns – as this happens, the owners scratch their heads wondering what went wrong and why their appliances are breaking down way before they're due. Any complex appliance should be maintained regularly in order to ensure that everything runs smoothly when it matters most. AC units and heating systems definitely fit the bill, and they're among the appliances that are most prone to breakdowns in the absence of any form of checkup or service. How often your AC and heating system should be checked depends on the type and quality of the units and the frequency of their use. 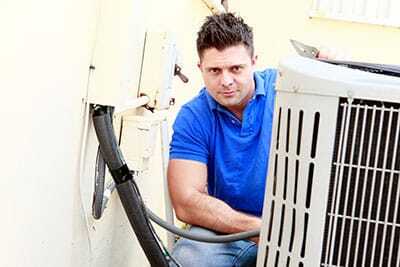 Ideally, you should have Boerne Air Conditioning Experts check your HVAC before every summer and winter – this will ensure that they run smoothly when they're meant to. Who wants to have their AC give out in the middle of a heat wave? If this happens, however, we'd say the person either wasn't regular with their maintenance or had purchased a low-quality model that was bound to give out. If you own a complete HVAC system, our recommendation is to have it checked twice a year in order to minimize the chance of a malfunction happening. Our checkup will cover every single part of the unit and we will not rest until we are absolutely sure that everything is in order. Beyond that, we can also schedule regular tune-ups of your AC or heater in order to keep their performance up as the years go by. Many people notice that their HVAC grows weaker as time passes – this is because certain parts become worn down and need replacement. While not an issue that prevents use, it's still a nuisance that is best dealt with through regular maintenance. If your area has mild winters, you can afford to skip on one or two heater maintenance sessions while increasing the frequency of AC checkups – the opposite goes for areas where the summers aren't particularly hot. 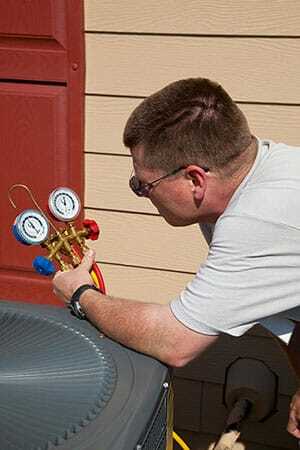 In any event, we urge our customers not to go without HVAC maintenance for more than a couple of years. Such a delay might not be catastrophic with simpler devices, but larger and complex systems have too many parts that can malfunction or suffer wear-and-tear, making yearly maintenance a necessity. If you'd like an estimate of the checkups we will perform on your HVAC system, feel free to give us a call and have one of our technicians come over and assess the situation. Afterwards, we'll create a maintenance plan with various optional additions as well as suggesting the frequency of our arrivals. Of course, it's up to you to choose which services you'd like, but there's nothing like the full suite – it will breathe new life into your AC and heaters year after year and keep them doing their job no matter how intensely they're used.